Hi Brain-Gut lovers, and welcome to another edition of ‘I Study Poop – Adventures of Scientists on the Front Line”. This month we are catching up with Emily Wissel, an undergraduate from the University of Austin Texas working on her first microbiome research project. Enjoy! Hello bacteria fans! I hope you’re all as excited to be reading this as I am to be writing it. Here’s an introduction to myself and the bacteria in my world. My name is Emily Wissel, and I am a current undergraduate studying psychology at the University of Texas in Austin. I work in the Gleason Lab on the Daily Living Project examining couples’ transitions into parenthood as they have their first child together. I have worked in the Loving Lab in the past, where I met Dr. Timothy Loving and Leigh Smith. While studying relationship transitions, Leigh and I discovered we both share an immense love for all things bacterial. We are currently working on a review paper examining how psychologists can utilize and contribute to the research being done by microbiologists outside of the psychology field, with the goal of optimizing microbiome research for both fields. When I read Brain on Fire: My Month of Madness by Susannah Cahalan, I knew that I wanted to study how our emotions and daily experiences can be altered by minute physiological changes. Shortly after that, I came across a popular press article about the bee’s microbiome and it was like love at first sight. I knew that I wanted to learn more about the microbiome in the context of human emotions, but it wasn’t until I met Leigh that I was really able to do so. Leigh and I both considered ourselves newcomers to the field, and at first it was overwhelming to learn all of the new terminology and theories – one paper could leave me exhausted. But Leigh and I have met continuously for the past year to discuss the cool things we learn about bacteria each week, and have pushed each other to continually strive for new knowledge. I’ve only been researching bacteria for the past year, and unfortunately have had limited opportunity for hands-on access. While I haven’t sampled bacteria directly, I’ve done some work peripheral to bacteria which does provide insight into their function. The Mukhopadhyay Lab housed me briefly this semester, allowing me to learn about bacterial toxin transport across the host’s cell and some basic lab skills. I was also able to conduct hormonal assays in the Loving Lab, and will be doing so with the Gleason Lab, but I anticipate and look forward to the opportunity to collect biospecimen samples of all kinds for future research. It seems weird to be so excited about the possibility of looking at other people’s poop for new knowledge, but that doesn’t dim my enthusiasm! Currently, I am working with the Gleason Lab to study couples who are having their first child together. Both partners in the study fill out several background surveys and many daily diaries over the course of a year, and we will be tracking gut health along with other factors over time. I am interested in seeing if perceived gut health changes alongside other health or emotional factors – such as weight, stress, and daily happiness. Leigh and I are currently in the planning stages of a study that will examine genital microbial changes in response to physical intimacy in romantic relationships. We want to examine if exposure to new bacteria from a new partner will increase the diversity of the microflora, and if the bacteria profile for the vaginal microbiome shifts differently that the penile microbiome. Since we are both psychologists by training, we are especially interested in whether shifts in genital microbial populations are accompanied by detectable shifts in mood, well-being and relationship outcomes. Who are some researchers you respect in the field? Dinan & Cryan 2012 : I’ve read this review paper about a dozen times, and still walk away with either new information or a new way to integrate previous information each time I read it. It was one of the first things I read when I decided to start studying the microbiome. Bravo et al. 2011 : This paper is extremely extensive and really opened my mind to the extent to which probiotics can impact emotion, especially in animal models. Montiel-Castro et al., 201 4: This is probably the paper which informed me the most about how extensive the influence is of the microbiome over our social network. It explores mate choices, kinship, and how the microbiome can influence these and other factors. Bercik et al. 2011 : This is the first and only paper I have come across that has pointed out how mice on a probiotic seem to perform better on exploratory and emotional tasks than healthy controls, and that probiotics may be a beneficial supplement even for healthy individuals. I think this is a great idea to explore, and of course more research needs to be done on how to create an effective probiotic for humans, but what if you could potentially protect someone against a short term life stressor by giving them a probiotic supplement? I have a much longer list of papers and researchers whose work have moved me, so feel free to reach out if you’d like to hear more! I am actually preparing to apply to PhD programs (eeek!). I am looking for programs which would allow me to do research with human populations, and preferably would allow me to study how emotions, social relationships, and psychopathologies are impacted by the microbiome and vice versa. I’ve been in Texas my entire life so far, so I’m eager to get out and explore bacteria in a new setting! What weird and wonderful things have you had to deal with since working in the brain-gut world? 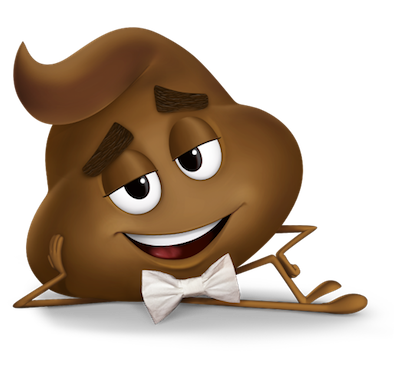 I should have anticipated it, but I didn’t expect all of the poop jokes I’ve gotten just in the past couple of months! Additionally, I didn’t anticipate how much bacteria come up in our daily lives. Part of this is due to the media coverage of some of the bigger studies, but also everything in our day to day lives can be related back to the microbiome. Everyone I meet seems to have something to say about it, and I think that’s a wonderful thing! What is your favorite brain-gut fact? Did you know that our genome, or human DNA, only differs by about 0.1% between people, but our gut metagenome, or the DNA of all the microorganisms (like bacteria) in our gut, differs by roughly 50%? Isn’t that crazy?? Being relatively new in the field, I am always looking for collaboration opportunities — especially with microbiologists who are interested in integrating more psychological elements into their work. I think biopsychologists and microbiologists may have something very unique to offer one another so please contact me directly at the email below if you’re looking for a research assistant, lab manager, or research partner. As for current study recruitment, if you or if you know any couples in the Austin area having their first child together, please contact The Daily Living Project at dailylivingproject@utexas.edu or by phone at (512)232-1968. Additionally, if you have just started a new romantic relationship, or have just gotten out of one, please consider contacting us at wissel.smith.study@gmail.com. I also think it is important for everyone to know that there is a bacteria board game. That’s right, and it’s online for free! All you have to do it print it out and you are ready to play, courtesy of Dr. Coil, Johnson and Eisen. I also highly recommend the American Microbiome Institute’s Microbiome Podcast. It’s a good and easy way to stay up to date on what is going on in the field while you’re on the go.